The recipe is from Joy of Baking and I only change I did from the original recipe is substituting white granulated sugar with light brown sugar. Over ripe bananas, 2 nos. Prepare the muffin tray by placing the paper liners or alternatively you can grease and flour the pan. Mash the over ripe bananas and set them aside. In a large bowl, combine flour, salt,sugar, baking powder, baking soda and ground cinnamon. In another bowl, combine mashed bananas, Melted butter, vanilla extract and to this add the lightly beaten eggs and mix well. Then add this mixture to the flour mixture and mix well till they are fully incorporated into a homogeneous mixture. Don't over mix them, then the muffins will be rubbery. 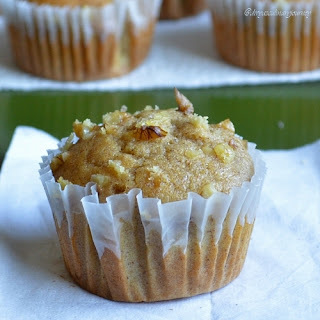 Pour the batter to the prepared muffin tin and sprinkle some chopped walnuts on top and bake for 20 - 25 minutes until its done and the tooth pick inserted in the center, comes out clean. 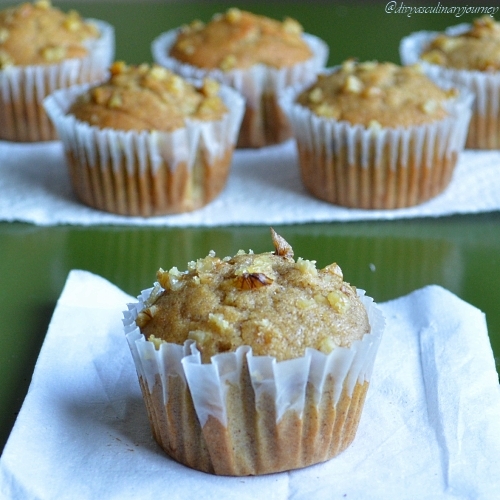 Banana muffins looks delicious and perfect. 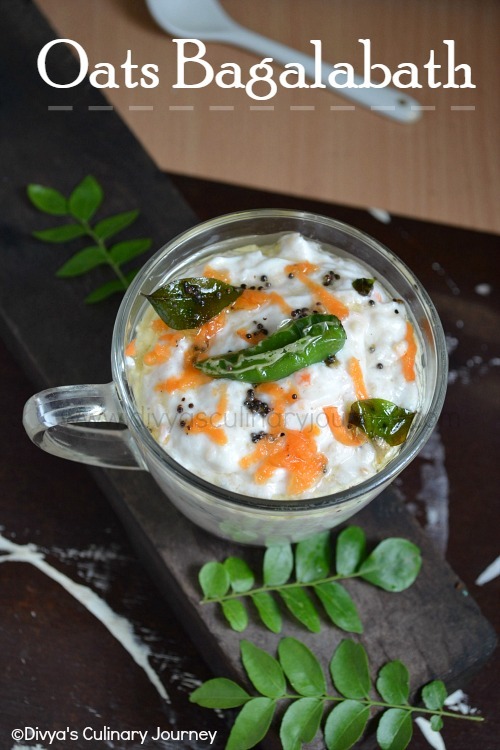 This is such a good way to use up bananas and yes so lip smacking good at the same time.. :) Lovely pictures Divya! Muffins look perfect and delicious Divya! Over ripe bananas too yummy sweet. Looks yummy. Muffins looks soft and delicious..
Muffin looks delicious and yum. Delicious, have to try this combo, bananas and cinnamon..
Another favourite. Can be had any time! perfectly made divya.. cute muffins..
Muffins looks perfect and yummy...nice clicks. 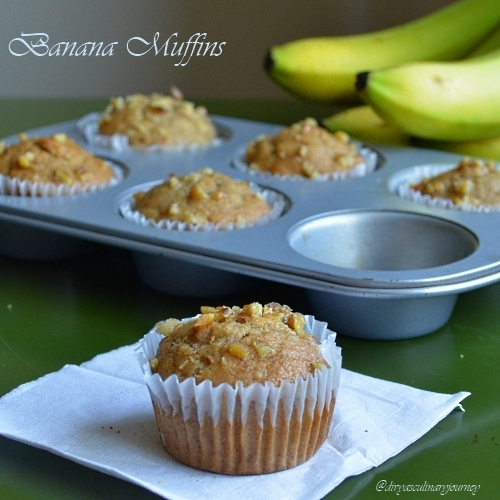 delicious muffins..........best way to use the bananas! Mmmmmm yummy banana muffins. Perfectly made.